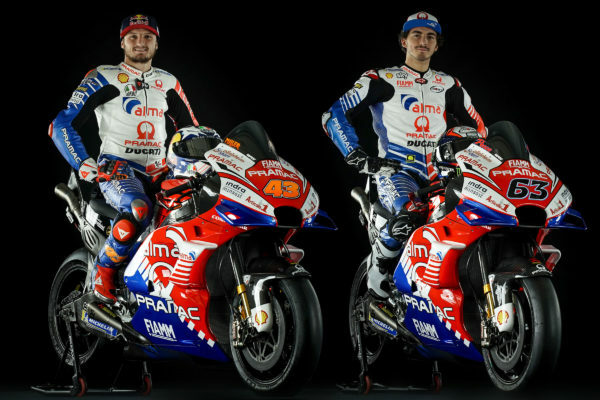 The curtain has finally been pulled back for Alma Pramac Racing’s 2019 MotoGP season at Sky Italia’s headquarters in Milan, after Sky Sport 24’s studios hosted the unveiling of the new livery of the Alma Pramac Racing Ducati Desmosedici GP designed by the Centro Stile Lamborghini. Jack Miller, Francesco Bagnaia and Alma Pramac Racing team manager Francesco Guidotti were guests of the live broadcast hosted by Guido Meda during which the fascinating new adventure of the team – which will be on the MotoGP starting-grid for the eighteenth consecutive season – was presented. The design of the new Ducati Desmosedici GP livery was illustrated and explained by Mitja Borkert, director of the Centro Stile Lamborghini. The complete video of the event is available on Alma Pramac Racing’s Facebook page (www.facebook.com/pramacracing) and YouTube channel (www.youtube.com/pramacvideochannel). 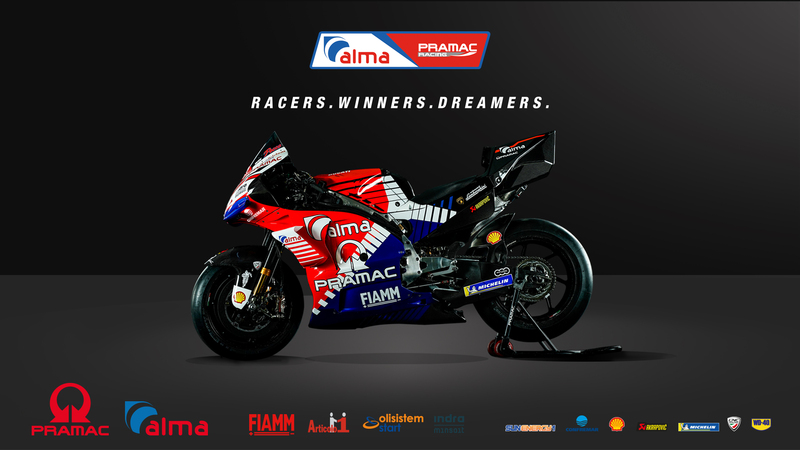 PAOLO CAMPINOTI (Alma Pramac Racing Team Principal) “The 2018 season gave us great satisfaction as we won the “Best Independent Team” title. With the confirmation of Jack Miller, who will have at his disposal the Ducati Desmosedici GP 2019, and the great talent of the reigning Moto2 World Champion Francesco Bagnaia, in the 2019 season we aim to confirm ourselves at the very highest level. We are also proud to tackle this new adventure with the fantastic livery designed by the Centro Stile Lamborghini, certain that they can create a winning combination with the Ducati Desmosedici GP. For our team, it is a source of great satisfaction to be a world ambassador of two such important ‘Made in Italy’ brands”. “It will be one of the most exciting seasons for our team. During the winter tests, Jack and Pecco have shown to have the potential to obtain important results. Our job will be to work to our full potential and put the riders in a position to give us great satisfaction”. Francesco Bagnaia #63 “I’m thrilled to be starting this new adventure with a team that from day one has been very present, very attentive and with great ambitions. These are very important factors for me. We did well during tests and lap after lap the feeling with the bike has improved. The first Grand Prix, however, is already just around the corner and I can’t wait to get on track in Qatar”. Jack Miller #43 “This is a very important season for me. I have the official version of the Ducati Desmosedici GP at my disposal and I have to show that I can be competitive fighting with the leading group. I will also be able to count on the support of my team with whom we have built a wonderful relationship over the past season. Now it’s time to make a qualitative leap forward in terms of results”.